Even when you know a solar energy system will pay for itself over time, it’s nice to cut down on costs up front. Beyond the federal Investment Tax Credit—which allows you to claim a 30% credit on qualified equipment and installation expenditures—several incentives are available on state, municipal, and utility levels. 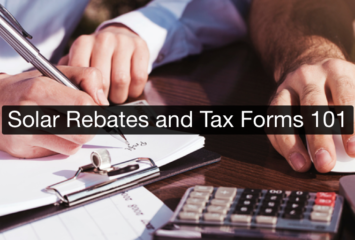 Before you purchase your solar energy system, take a look at our Solar Rebates and Tax Forms 101, as well as out list of the top available tax credits, incentive programs, and rebates in your state. Also be sure to read our guide to choosing a solar installer. AlabamaWISE Home Energy Program—Financing program for energy efficiency measures, including loans from $2,500 to $15,000 with a 1% interest rate. TVA Green Power Providers—Program that pays a set amount (generally the average retail rate) for every kWh generated by an enrollee’s renewable energy system. Sustainable Natural Alternative Power (SNAP) Program—Incentive payments based on a system’s production on a per-kWh basis. Residential Solar and Wind Energy Systems Tax Credit—Solar energy credit of 25% of the cost of the device, up to $1,000. Solar and Wind Equipment Sales Tax Exemption—Sales tax exemption for the retail sale of solar energy systems and their installation by contractors. Mohave Electric Cooperative Renewable Energy Incentive Program—Incentives of $0.05 per watt, up to a maximum system size of 50 kW, capping at $2,500. Renewable Energy Production Tax Credit—Tax credit for qualified systems installed on or after December 31, 2010, based on the amount of electricity produced each year for a ten-year period. Currently, Arkansas does not have any public-purpose-funded energy efficiency programs, though the state does have net metering guidelines that are supported by companies like Entergy Arkansas. Property Tax Exclusion for Solar Energy Systems—Property tax exclusion for 100% of the solar energy system’s value is available for certain types of systems installed between January 1, 1999 and December 31, 2024. This is a great program for installing solar panels in California. Home Energy Renovation Opportunity (HERO) Financing Program—Solar financing options that allow for repayment through special assessments on property taxes. Holy Cross Energy Renewable Energy Rebate Program—Financial incentive starting at $750 per kilowatt for the first 6 kW of a system and ranging down to $500 per kilowatt for 6–12 kW and $200 per kilowatt for 12–25 kW. City of Boulder Solar Grant Program—Grant for a portion of total out-of-pocket project costs for solar installations on homes enrolled in Boulder’s affordable housing program, as well as on site-based non-profit groups and low- to moderate-income housing owned/developed by a non-profit. Energy Smart Colorado Renewable Energy Rebate Program—Rebate of up to $1,000 for solar installations in Eagle County. Residential Solar Investment Program—Incentive of over $0.51 per watt for up to 10 kW. Property Tax Exemption—Property tax exemption for renewable energy systems that generate electricity for private residential use. Delmarva Power Green Energy Program Incentives—Incentive grant of $0.50 per watt up to 50 kW, with a limit of $3,000 total. Sustainable Electric Utility SREC Purchase Program—Upfront payment of $450 per kilowatt (up to 50 kW) in exchange for the first twenty years of Solar renewable energy credits created by the solar panel system. 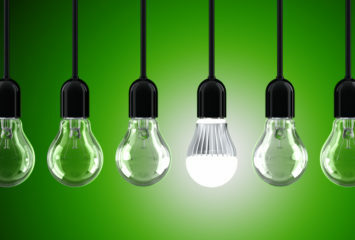 Longwood Raising Energy Efficiency Program—Rebate of $500 per year maximum residents who utilize suppliers or other businesses located within Longwood for purchasing or installing energy efficiency improvements. Jackson EMC Sun Power Rebate Program—One-time rebate of up to $4,500. Systems must be certified by Florida Solar Energy Center and installed by a certified contractor. Central Georgia EMC Photovoltaic Rebate Program—One-time rebate of $450 per kilowatt of AC power, with a limit of 10 kW. TVA Green Power Providers—Incentive program to homeowners and businesses in which TVA will purchase 100% of the output from systems at the retail electricity rate. Solar and Wind Energy Credit—Income tax credit of 35% of the cost of equipment and installation of solar panels, with a limit of $5,000. City and County of Honolulu Solar Loan Program—0%-interest loan for income-eligible homeowners for the installation of solar water heating and photovoltaic systems. Residential Alternative Energy Tax Deduction—Income tax deduction of 40% of the cost of the solar energy system for the year in which the system was installed, plus a 20% deduction of the costs each year for three years after. The maximum deduction per year is $5,000. State Energy Loan Program—Loans with 4% interest rates for amounts ranging between $1,000 and $15,000. Solar Renewable Energy Credits—Solar Renewable Energy Credit (SREC) program for homeowners to sell the energy their solar arrays produce. 1,000 kWh of solar electricity equals one SREC, and the value of SRECs is determined through bidding. Renewable Energy Property Tax Exemption—The assessed value of the solar panel system will be exempt from property taxes. 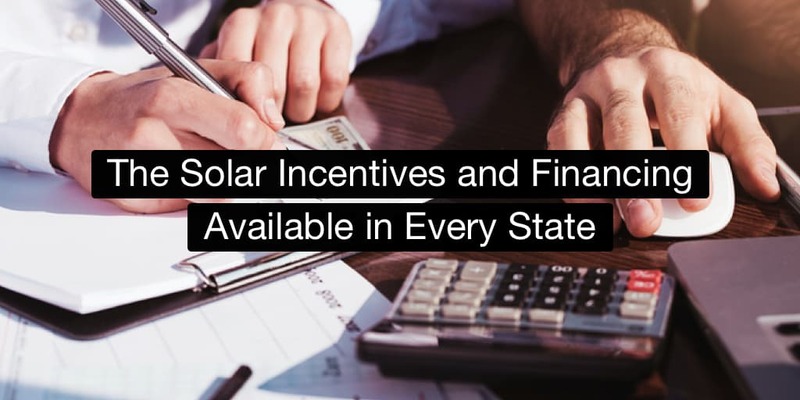 State Sales and Use Tax Exemption—Select elements of solar arrays, including racking and modules, may be exempt from state sales and use taxes. Solar Energy System Tax Credit—Tax credit equal to 50% of the federal credit for residential arrays, up to $5,000. Property Tax Exemption for Renewable Energy Systems—Five-year exemption from Iowa property taxes for the market value added to a property by a solar panel system. Renewable Energy Equipment Exemption—A 100% sales tax exemption for solar equipment. Renewable Energy Property Tax Exemption—Exemption of the assessed value of the solar panel system from property taxes for ten years. TVA Green Power Providers—Application-based program that allows homeowners to sell electricity generated by solar panels to participating energy companies at the general retail rate. Solar Energy Systems Tax Credit—A 50% refundable tax credit that can be applied to solar electric systems. Solar Tax Exemption—Exemption from Ad Valorem taxes for solar energy arrays. Efficiency Maine Loans—Loans for select energy efficiency projects at a 4.99% fixed interest rate. Residential Clean Energy Grant Program—A $1,000 incentive per solar panel system ranging in size of 1 kW to 20 kW. Anne Arundel County Solar and Geothermal Equipment Property Tax Credit—One-time tax credit of 50% of the solar energy equipment material and installation costs, up to a maximum of $2,500. Available for residents of Anne Arundel County. Sales and Use Tax Exemption for Renewable Energy Equipment—A 100% state sales tax and use tax exemption for solar equipment. Chicopee Electric Light Department Residential Solar Rebate Program—Rebate of $0.50 per watt, for a maximum of $2,500, per solar installation. Concord Municipal Light Plant Solar Photovoltaic Rebate Program—Rebate of $625 per kilowatt, up to $3,125, for owned solar panel systems. Taunton Municipal Lighting Plant Residential PV Rebate Program—Rebate of $1.50 per watt, up to a maximum of $4,500, for customers of Taunton Municipal Lighting Plant (TMLP). Michigan Saves Home Energy Loan Program—Loans for amounts for as much as $30,000 at an annual percentage rate as low as 4.25%. Owatonna Public Utilities Residential Conserve and Save Rebate Program—Rebate of $0.50 per watt, up to a maximum of $5,000. Minnesota Power SolarSense Solar Rebate Program—Performance-based rebate of $0.94 per kilowatt-hour for grid-connected solar systems up to 20 kW. Incentive cap is either $20,000 or 60% of installation costs—whichever is lower. Rochester Public Utilities Rebate Program—One-time rebate of $0.50 per watt for solar systems sized between .5 kW and 10 kW. TVA Green Power Providers—Incentive of general retail electric rate for power generated by a solar array. Kansas City Power & Light Solar PV Rebate—Rebate of $0.50 per watt for solar systems, paired with a net metering program. Solar Property Tax Exemption—Exemptions from county, state, and local property taxes for solar energy systems. Residential Alternative Energy System Tax Credit—A $500 tax credit for the installation of a solar energy system. Renewable Energy Systems Exemption—An exemption from property taxes for solar arrays, up to $20,000. Alternative Energy Loan Program—Renewable energy loans for up to $40,000 with a fixed interest rate of 3.25%. Lincoln Electric System Renewable Generation Rebate—Generation payments based on the type and efficiency of the system, starting at $375 per kilowatt of DC energy. Dollar and Energy Savings Loans—Loans of up to $125,000 with interest rates ranging between 2.5% and 5% for solar energy projects. NV Energy SolarGenerations Incentive Program—Upfront incentives of around $0.15 per watt for residential systems 25 kW or smaller. Residential Small Renewable Energy Rebate Program—Rebate of $0.50 per watt, up to the lesser of $2,500 or 30% of solar panel system costs. Property Tax Exemption for Renewable Energy—Exemption from residential property taxes for the assessed value of the solar energy system. Solar Energy Sales Tax Exemption—A 100% exemption from state sales tax for solar energy equipment. NJ Clean Energy Residential New Construction Program—Incentive rebates that range up to $24,250 for the construction of new homes that meet high energy-efficiency standards. PNM Performance-Based Solar Energy Program—A per-kWh payment for systems up to 100 kW for renewable energy credits. Property Tax Exemption for Residential Solar Systems—An exemption from property tax assessments for solar energy systems. NY-Sun PV Incentive Program—Incentives ranging up to $0.40 per watt for up to 25 kW, depending on date claimed and region. Solar Energy System Equipment Credit—Tax credit equal to 25% of qualified solar panel system equipment costs, up to a maximum credit of $5,000. New York City Residential Solar Sales Tax Exemption—A 100% local sales tax exemption for solar energy systems in select areas. TVA Green Power Providers—Payment of the general retail rate for every kWh generated by a renewable energy system. Property Tax Abatement for Solar Electric Systems—Exemption equal to 100% of the appraised value for residential solar panel systems. Renewable Energy Property Tax Exemption—A solar-array exemption from local property taxes for the first five years a system is in use. Hamilton County Home Improvement Program—Loans up to $50,000 at 3% below market rate. Qualified Energy Property Tax Exemption—Exemption from personal property taxes for arrays up to 250 kW. Besides net metering, Oklahoma does not currently offer incentives or rebates for homeowners installing solar energy systems. EWEB Solar Electric Program—Incentive of $0.40 per watt, up to a maximum of $2,500. Ashland Electric Utility Solar Electric Rebate Program—Rebate of $0.50 per watt for residential builds, up to a maximum of $7,500 per solar energy system. Residential Energy Tax Credit—Credit of $1,500—or up to 50% of total costs, whichever is less—per year for up to four years for a maximum of $6,000. Salem Electric Photovoltaic Rebate Program—Rebate of $600 for the first 3 kW installed and $300 per kW for any additional capacity, up to a maximum of 50% of solar panel system costs or $8,400. Solar Alternative Energy Credits—Earn a solar alternative energy credit (SAEC) for every 1 MWh of electricity, which can be sold for up varying prices depending on market value. Property Tax Exemption for Renewable Energy Equipment—A 100% exemption from property taxes for solar panel systems. Renewable Energy Growth Program—Performance-based incentives; amounts depend on the size of the system and the geographic load zone area. Solar Energy, Small Hydropower, and Geothermal Tax Credit—Credit of up to 25% of the cost to purchase and install a solar energy system. Santee Cooper Rooftop Solar Rebate Program—Incentive of $1.60 per watt of AC power, up to a total of $9,600. Renewable Energy System Property Tax Exemption—Homes with small installed solar energy systems receive an exemption of up to $50,000 or 70% of the assessed property value, whichever is greater. TVA Green Power Providers—Payment of general retail rates for every kilowatt-hour generated by renewable energy systems. Bristol Tennessee Essential Services Energy Savings Loan Program—Financing of up to $10,000 for a ten-year term, with varying interest rates. Guadalupe Valley Electric Cooperative Renewable Energy Rebates—An incentive of $1.00 per watt, with a cap of $4,000. Green Mountain Energy Renewable Rewards Program—Buy-back program in which the credit per kWh for surplus energy generated will be the same per kWh rate the utility charges for its Renewable Rewards product. CPS Energy Solar PV Rebate Program—Rebate of $0.80 per watt, depending on when the rebate is claimed, up to a maximum of $25,000 or 50% of project expenses. Renewable Energy Systems Tax Credit—Non-refundable tax credit of 25% of the installed solar panel system costs, up to a maximum of $2,000. GMP Solar Power Program—Net metering program in which participants receive a premium of over $0.05 per kilowatt-hour for systems up to 15 kW. Renewable Energy Systems Sales Tax Exemption—Incentive of 100% of sales tax for the purchase of a solar energy system. TVA Green Power Providers—Payment of average retail rate for every kilowatt-hour generated by a renewable energy system. Fairfax Solar Energy Equipment Tax Exemption—A partial or full tax exemption for costs of solar panels and select other solar setups. Renewable Energy System Cost Recovery Incentive Payment Program—Payments for solar production to help offset initial costs; overall payments depend on utility and array specifications. Renewable Energy Sales and Use Tax Exemption—A 100% exemption of sales and use tax for solar energy systems up to 10 kW. Residential Solar Energy Tax Credit—A $2,000 tax credit for the installation of a solar energy system. Focus on Energy Renewable Energy Incentive Program—Rebate of up to 12% of solar costs, not exceeding $2,000. Renewable Energy Sales Tax Exemptions—A 100% exemption from sales and use tax for eligible solar panel system purchase. Wyoming does not currently have rebates or tax incentives in place for the installation of residential solar panels. However, it does have legislation supporting net metering across the state. *Incentives are current as of writing. As states’ solar energy policies adjust, so will their tax incentives and rebates. When it comes time to purchase your panels, verify these listed incentives before proceeding to ensure they are still available—as they are subject to change at any time—and find out how to claim them.